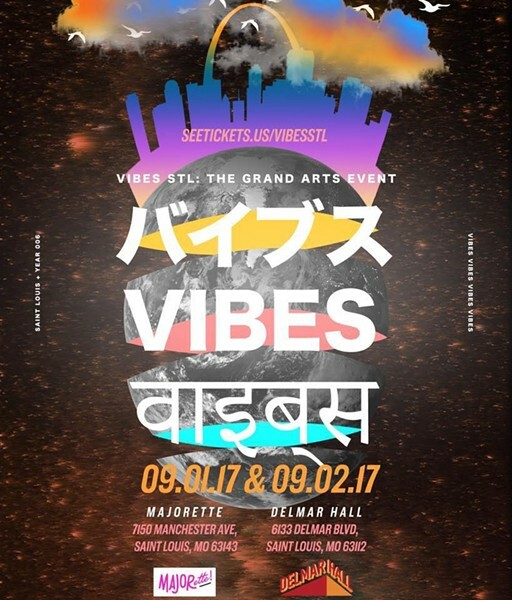 The Vibes STL Grand Arts Event, also known simply as Vibes, is unlike any other art showcase in the city. 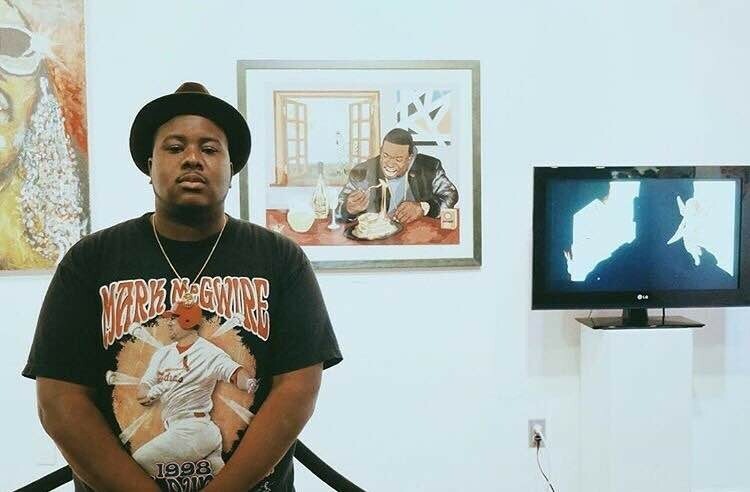 While many shows include live music acts, visual artists and food vendors, Vibes is different in that its hip-hop inspired culture provides a unique space for St. Louis artists who don't fit into what founder Jarell Lawrence calls the traditional "artsy fartsy" art scene. It's become the largest showcase of black art in St. Louis. The idea for the show came from Lawrence, a sketch artist turned graphic designer, and musician Ciej, who is part of the hip-hop collective M.M.E. It was their dream to create a space for visual artists and musicians to show off their work in a way that honored their style and the culture. The first Vibes was held in 2012 in the basement of Cherokee Street's Blank Space — and quickly took off. “Vibes became over-capacity after 45 minutes the third year,” notes event organizer Sierra Brown. It's since gotten even bigger. Artists who've been featured in the past include Brock Seals, Arshad Goods, Bloom, and Smino, who is currently on the CTRL tour with SZA. But Tim Ayres, the venue's owner, rejects that characterization. He says that a party at Koken in May got ugly, complete with gun play outside, and police were called. After that, he says, it became clear that "the police weren't interested in helping me with security, and that's the only reason I canceled it." Organizers have since moved the action to Majorette and Delmar Hall. It's the first year Vibes is being hosted on two separate days at separate venues. With the Majorette itself owned by two artists, and Delmar Hall quickly establishing itself as a must-stop for touring musicians, the Vibes team looks forward to this year being, Brown says, a “fresh start and a door opener for something way bigger to happen next year." On September 1, visual artists like Jessica Page, Addy Berge and Nicholas Coulter team up with vendors like Lily Kiti and Natural Soaps by Ki. Food is also provided by Paradise LA, Bread N Butta, What’s Poppin and more. The second day hosts all-live music performances at Delmar Hall, with artists Jean Deaux, Valee, Pinkcaravan!, sounds by Dj Stain and DJ Hoodbunnny and a special guest KEY!. Every year a part of the proceeds raised goes towards a charity bettering the community. This year, the funds raised will support the Vibes organization itself in an effort to find and establish a new multi-purpose building. The building would provide local artists a new space to showcase their work in a place that is welcoming to them. For artists, the Grand Arts Event is a great opportunity to show off their skills, but Brown cautions that the work they do and the way they market themselves afterwards is critical to building on that exposure. “I tell people if you want to be in Vibes, you have to prepare for Vibes and the year after," Brown says. For the community, though, she has a different message. You can still buy general admission tickets for the event online. Tickets are $25 for either day or $40 for a two-day package. There are no refunds or ticket transfers allowed. To make a donation, email vibes.stl@gmail.com. The Vibes STL Documentary from Drew Brown on Vimeo.